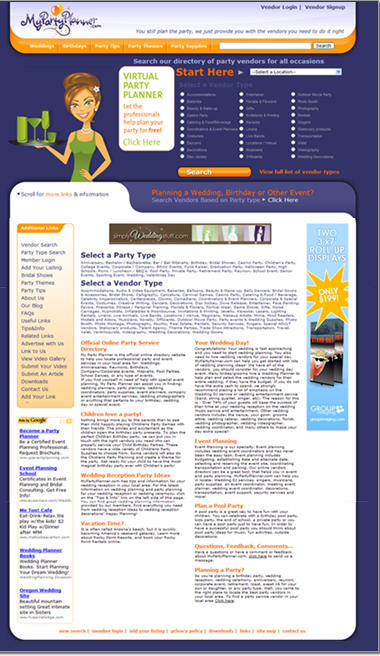 My Party Planner is the nation's largest paid directory of party vendors. Vendors include photographers, disc jockeys, equipment rental agencies and more. My Party Planner receives over 9 million yearly visitors seeking party planning help. Lurus built an integrated solution, along with supporting infrastructure, to support the traffic volume and SEO capabilities that were needed to make the site a success.